This is one of the few true fears I have. Gephyrophobia is the fear of crossing bridges. It actually stems from a fear of heights. I HATE crossing bridges!!! I thank GOD that to this day I've never had to live where I had to cross a big bridge. When we lived in Lakewood, the only time I had to cross a big bridge, like the Narrows Bridge, was on the occasional trip into Gig Harbor. I had a friend that lived there, and to go there, even occasionally, was Hell on my blood pressure! We have a series of smaller bridges that goes from here to Aberdeen, and even those I get scared on. But it's only temporary because they aren't that long. Hardly long enough for the fear to set in. And I cannot see the ground (or water) we're going over. But so far, the worst trips I make now is into Astoria. I like the town, but to go over that bridge is really terrifying to me!! That bridge is HUGE!!! And you can definitely see the water below it, and that scares the willies out of me!! I thank GOD I don't live in New York! When I go over bridges, I get uncontrollable tremors up my spine, I feel nauseous, I start hyper-ventilating, and I tend to want to hang on to the side of the car. Sometimes I want to jump out, but I don't want to fall in the water. LOL! This is not a common phobia, I am only one of a handful of people who actually suffer from this ailment. For me, to walk over a bridge is not as bad as driving over a bridge. Walking allows me more control over my movements. Driving, I have no idea what the car might do!! I wish there was a way around bridges, but for me to go into Aberdeen, there is no detour. But some people will go miles around just to avoid going over bridges. Unfortunately for me, the only way to get into Aberdeen is to go over this one bridge, with the only alternative route being a one-way road heading back to Ocean Shores. I'd be going around in circles and never get anywhere except home. LOL! So I haven't got much of a choice. But if I could take a ferry to Aberdeen, that would be a nice substitute for me! 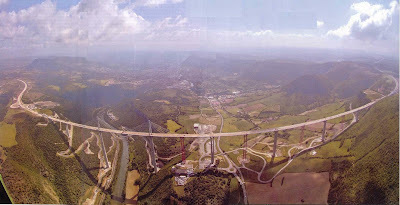 For some gephyrophobics, images like these tallest bridges, can be very terrifying! 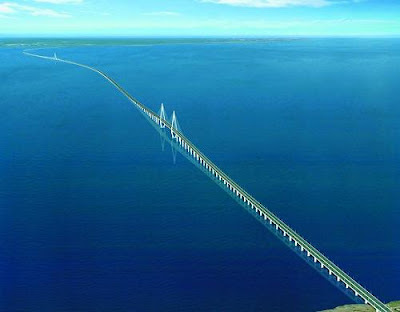 Hangzhou Bay bridge in China. Too long for me!! 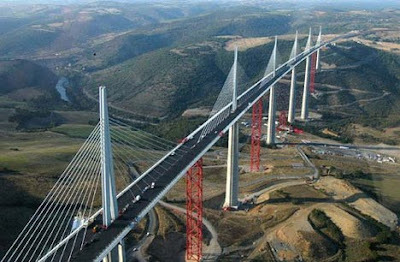 Millau Viaduct, the tallest bridge in France. At 1115 feet high. Here's another view of this bridge. Forget me going over this monster!!! 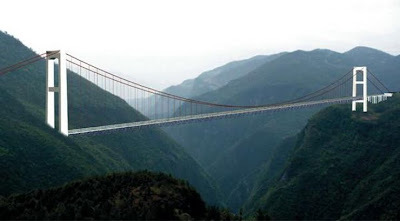 Siduhe Grand Bridge in China, currently still under construction, but fated to be the World's tallest bridge. 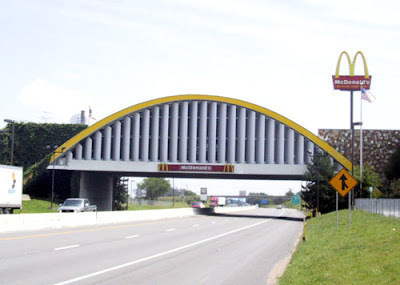 McDonald's Bridge in Oklahoma. At least here I can eat, if I'm not too busy being nauseous.